Joel Surnow’s controversial miniseries The Kennedys has finally found a home at ReelzChannel, the four-year-old independent cable network that is, let’s say, known for airing movies, Ally McBeal reruns, and primarily unscripted shows like Maltin On Movies and Hollywood Dailies. 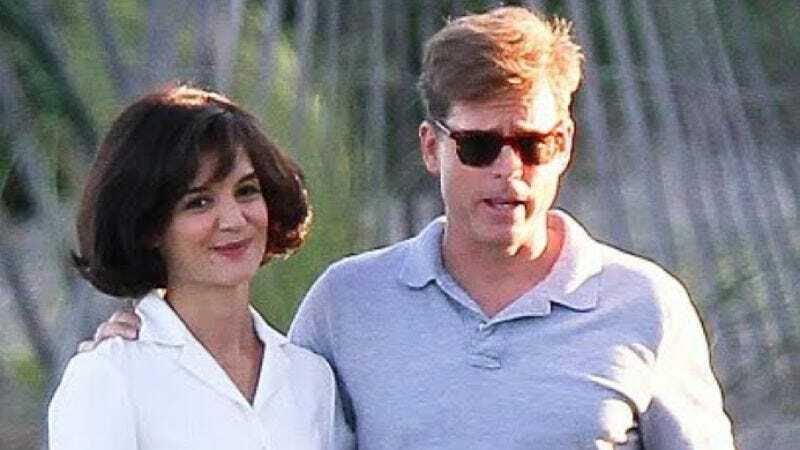 As previously reported, The Kennedys has already become a lightning rod for negative publicity after The History Channel decried its slightly fictionalized take on the famous family, declaring it unfit for broadcast next to its latest special about how outer space aliens built the pyramids and also founded Ford Motor Company. And for its part, Reelz is definitely counting on that, optimistically believing the attention the project has received will bring them new subscribers and “put a spotlight on this network that has never been on it before” when it premieres on April 3, and is no doubt rerun many times thereafter. As to the accusations of the film’s political bias (not least by members of the Kennedy family itself), ReelzChannel CEO Stan Hubbard said, “One of the benefits of being an independent network is that you can be an independent voice and you don’t have to worry about corporate pressure or political pressure”—which is as positive a spin on “Sometimes it pays to be the last resort” as it gets. Anyway, finally everyone will get to see this thing for themselves, so long as they’re within the 60 million homes where Reelz is available.